Carring a paddle-board into the water. It was so heavy I felt like a tree with some plums. But then I'm chopped down. Then I realized it was floating on the water, But not going anywhere except in front of us. Charging in the water to a pole but not any pole, a big fat one. I said to Jordan "these life jackets are very good." I love these. Do you know what a life jacket is? 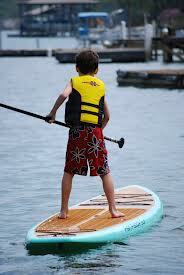 Seeing Mum take off on her paddle-board was awesome.Do you have a paddle-board and know how to use it? You start off by putting the paddle under your tummy and paddling while lying on your stomach. She is now sitting up on her knees and paddling with the paddle. Once she got use to it she was standing and off she went. 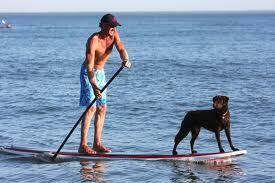 I jumped onto the board and I was at the front paddling with Mum. Dipping my face into the sea and I felt like a new man again. Off you get Levi and I rolled off into the Ocean. After I went swimming and then I put my hand under the sand and the next thing was BAM! A CRAB NIPPED MY FINGER!!!!!!! I Yelled. Then we all packed up for home time.